1. Do You Enjoy Your Job? It’s Sunday afternoon and you should be enjoying your day off. Instead you are thinking about work and dreading Monday morning. 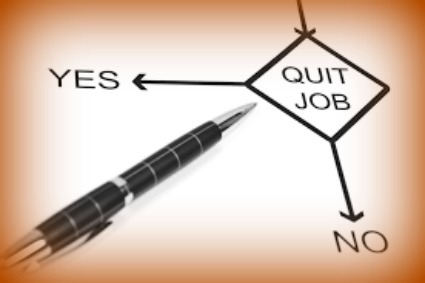 Maybe you are constantly thinking about quitting your job. These feelings and thoughts are there for a reason and should be dealt with sooner than later. Don’t let guilt or fear keep you from making a change. Figure out what you really want to do and go for it. After changing jobs, most people say they wish they had made the change sooner. 2. Is It A Good Fit? If you are working a job and you don’t like the work, it can be mentally exhausting and leave you feeling unengaged. The thing to remember is what you are good at up until now is not necessarily what you like to do. Because you are good at what you do, it is easy to get the same type of work assignments over and over. Ask yourself, is this job a good fit or would you be better suited to something completely different. 3. Are You Feeling Challenged? If you feel challenged in your job, then you will likely push yourself a bit harder and have a sense of accomplishment. This results in a deeper understanding of your industry, which enhances your value and your potential for career advancement. Finding a career that can challenge you to develop new skills and grow should be your top priority. The personal and professional benefits are well worth pushing yourself outside your comfort zone. 4. Do You Want Something More? Do you imagine bigger and better things for yourself? Perhaps there is another career direction waiting that will bring you success, recognition and a happier life. A common characteristic of entrepreneurs is they are risk takers and thrive on uncertainty. Embrace these feelings and find your new career path. Looking back on my career, taking that first step to leave nursing eventually gave me the confidence to begin my consulting career and become an entrepreneur. I encourage you to find a job that makes you feel passionate, challenged, provides work-life balance and makes you happy. Career, Starting a new job. 2013 background check Business Travel Career Communication Connections Consulting Contract Customers DCS Diversity DoD drug screen EHR EMR extension Follow Geting the Job H1B Hawaii Healthcare IT HealthIT HIT HIT resource HUB ICD-10 Interoperability Interview Interview Preparation Legion of DCS LinkedIn New Project on-boarding Phone Interview Pitch pre-employment screen Relocation Resources Resume Starting a new job. Thank You The Right Questions Tips WBE What to do on your first day.